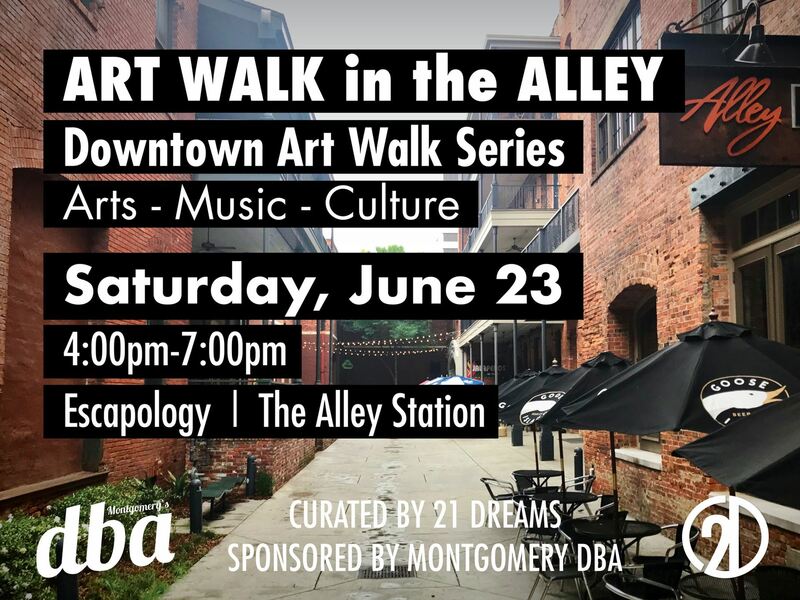 The 2nd installment of the bi-monthly Downtown Artwalk Series will take place in the Alley Station and Escapology! The art walk will feature exclusive work from the 21 Dreams artist collective and other visual artists! #GoodVibesOnly with reggae music from The Powell Brothers!